VA 58: Appeared in Dec 1930 (CTB), replacing VA 116 from VA 12 (now VA 274) north to Fries, then further north as new primary routing to end 4.25 miles into Carroll County. Also at this time, a second piece of VA 58 was created as new routing, running from US 121/VA 15 (now US 52) Farmers Store south 5.42 miles to a mile short of Porters Crossroads. In July 1932 (CTB), VA 58 was extended east with VA 12 for a couple miles, then southwest replacing CR 7 to end near Baywood. Also, the southern piece was extended north to the Wythe COunty line. This left a 3.62 mile gap in the Ivanhoe area. In July 1933, both pieces of VA 58 were renumbered as VA 94. 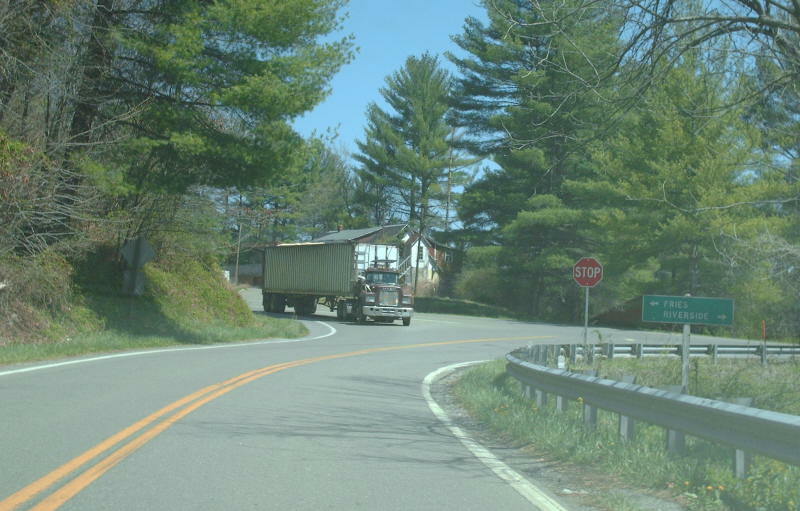 Today it is SR 626 north from Baywood; VA 94 to VA 274; abandoned alignments plus SRs 815, 816, 649/805 interspersed with VA 94 to Fries; SR 739 and abandoned routing at the Wythe line area; SR 741 and SR 742 in Ivanhoe; OSR 94 Sheffey School Rd.